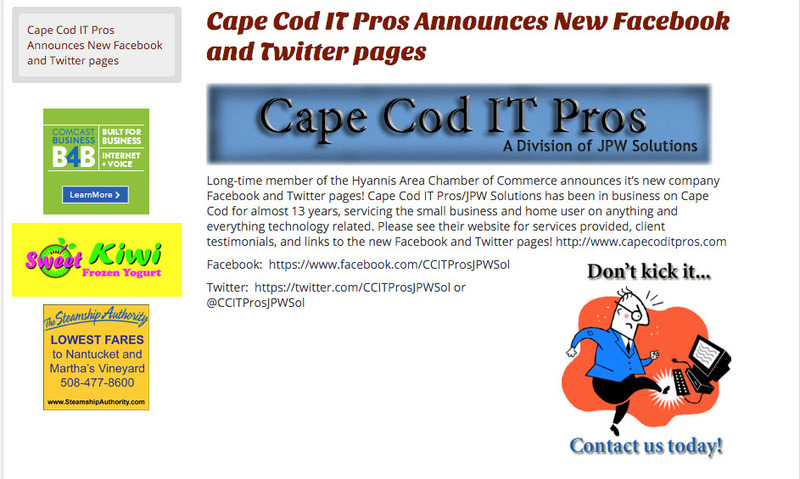 JPW Solutions-Cape Cod IT Pros wish you a fantastic Spring! JPW Solutions provides superior and reliable customer service and uncompromising quality for our customers on Cape Cod. We are a one-stop service provider for all your home and office computer (Mac / PC), server, desktop, laptop and networking requirements. This includes helping many of our customers purchase the Correct Computer, customized for your exact needs! Call us today for any of the following services for your home or office: Cyber Security, Virus / Malware / Spyware / Phishing / Trojan Removal, Spam Removal, Custom Systems, Data Recovery, Data Transfer (from an old computer to a new computer, for example), Backup Solutions, Setup/Secure Wired and Wireless Networks, Computer Upgrades, Tuneup / Cleanup, Computer Consultation, Computer Maintenance, PC and Laptop Repair, Windows Server setup and Troubleshooting, MAC Support and Service, Network Solutions, Device Installation, Laptop Screen Repair, Remote Support, ISP Installation, Computer Diagnostics, Software Installation and Configuration, Secure Wireless (WiFi) Networking, Conversion of yourdomain.com email to Google hosted email/apps/G Suite. What's New: Celebrating our 16 year Anniversary! Check out our and pages! Let us help you with the CRITICAL issue of Cyber Security!! See our Client Testimonials from our recent customer service survey! Computer(s) slow or exhibiting strange behavior? Let us help you get rid of the copious amounts of Viruses and Adware-Spyware-Malware-Ransomware that are reeking havoc on your desktop-laptop...We can erradicate them, at a Reasonable Price! 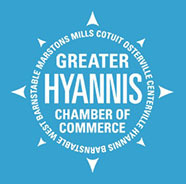 View our latest Hyannis Area Chamber of Commerce email blast announcement! Check out a Photograph from our Recent Display at the Cape Cod Cooperative Bank E. Dennis Branch! JPW Solutions is Comp TIA Network + Certified!